size? 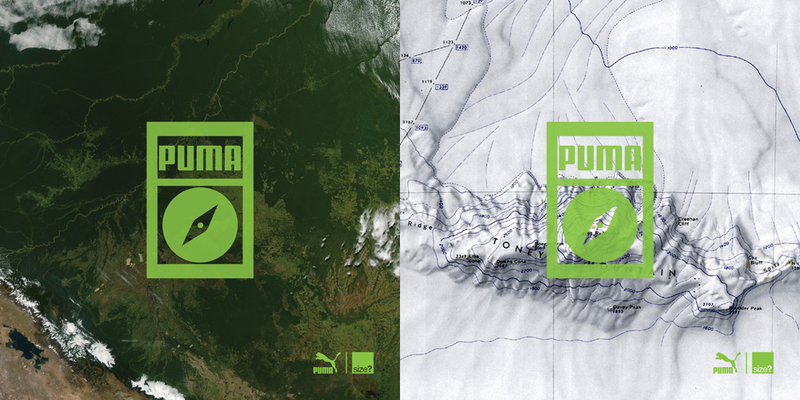 and Puma are back with Part 2 of their 'Wilderness' Pack. 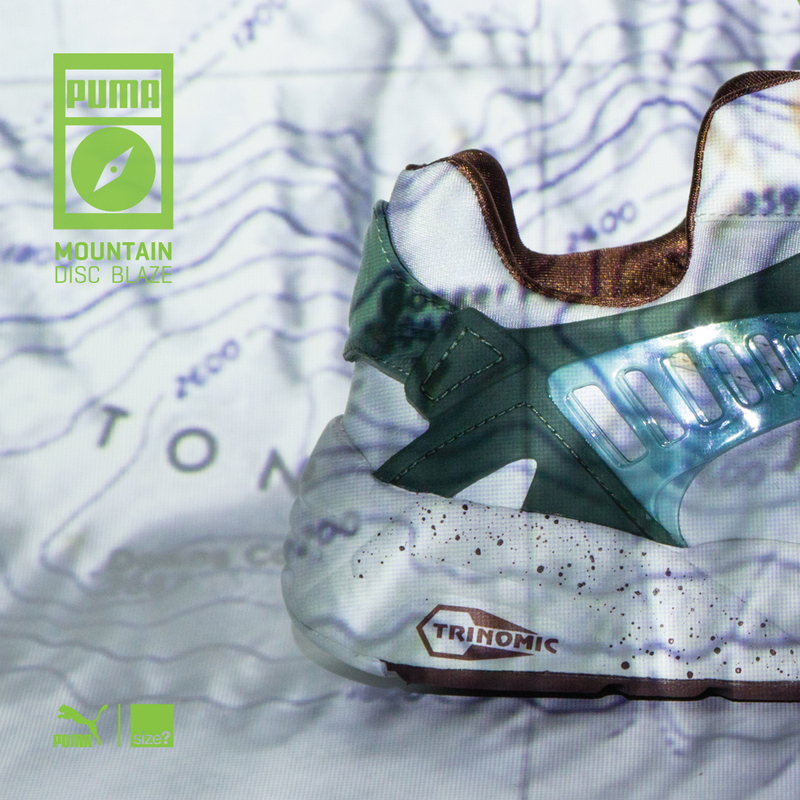 This collection draws inspiration from the harsh terrain environments of the Jungle through to the Mountains and features the Puma Disc Blaze and Blaze Of Glory. 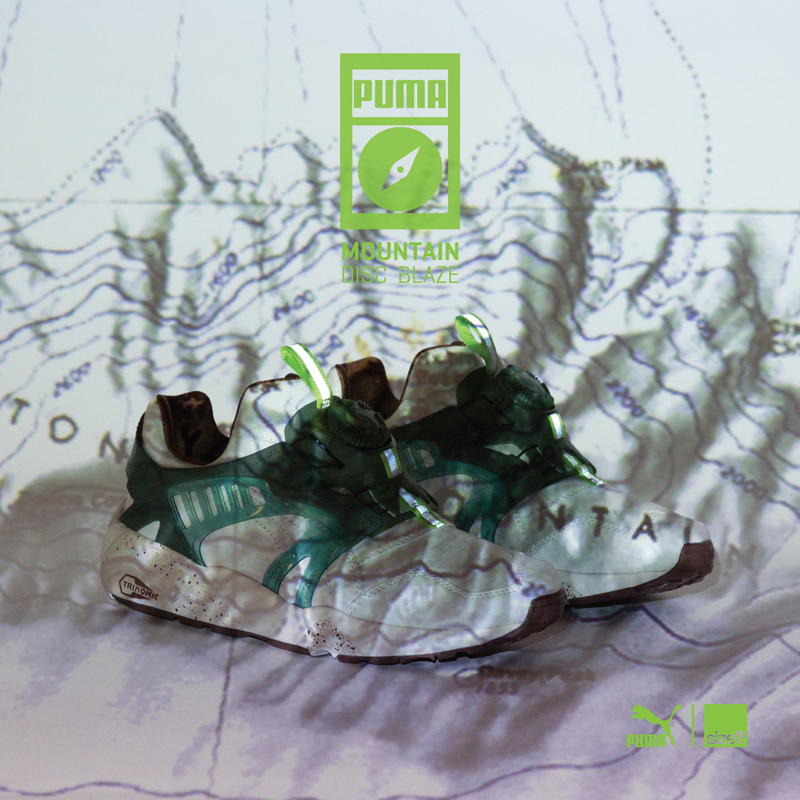 Both models have coordinating green and silver 3M reflective tabs, representing the theme. The Disc Blaze is known as the 'Mountain' edition. Featuring a heavy waxed canvas upper which shows off battle scars earned from going toe-to-toe with the wilderness. 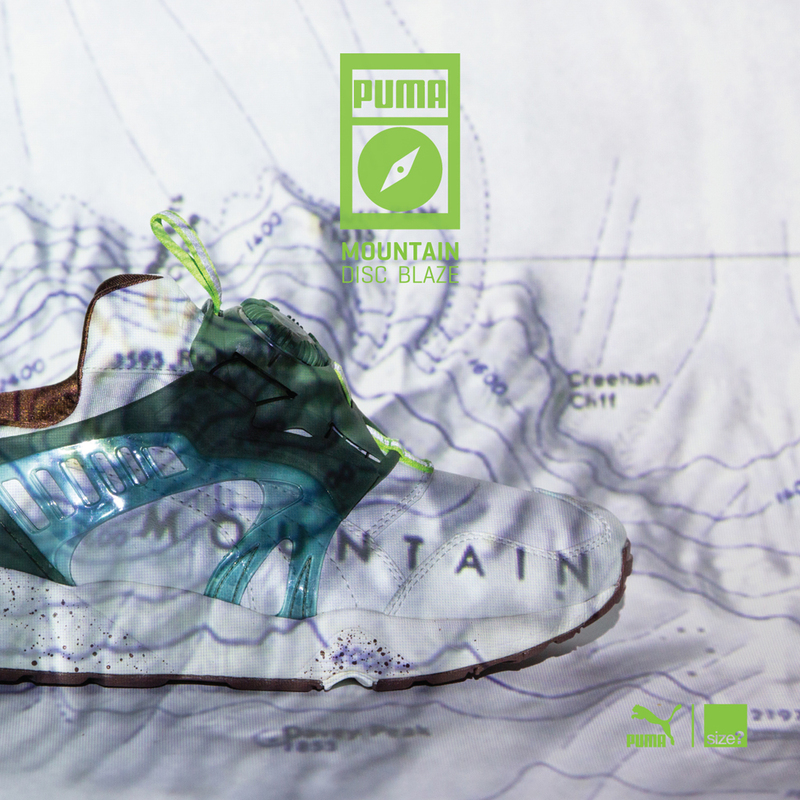 Perfectly evolved evergreen trees serve as inspiration for the front of the shoe with an ice-green cage unit whilst the brown sole represents trampled branches and bark on the forest floors. The Disc Blaze captures the mountainous weather conditions perfectly and uses a speckled mid-sole to represent a looming blizzard. 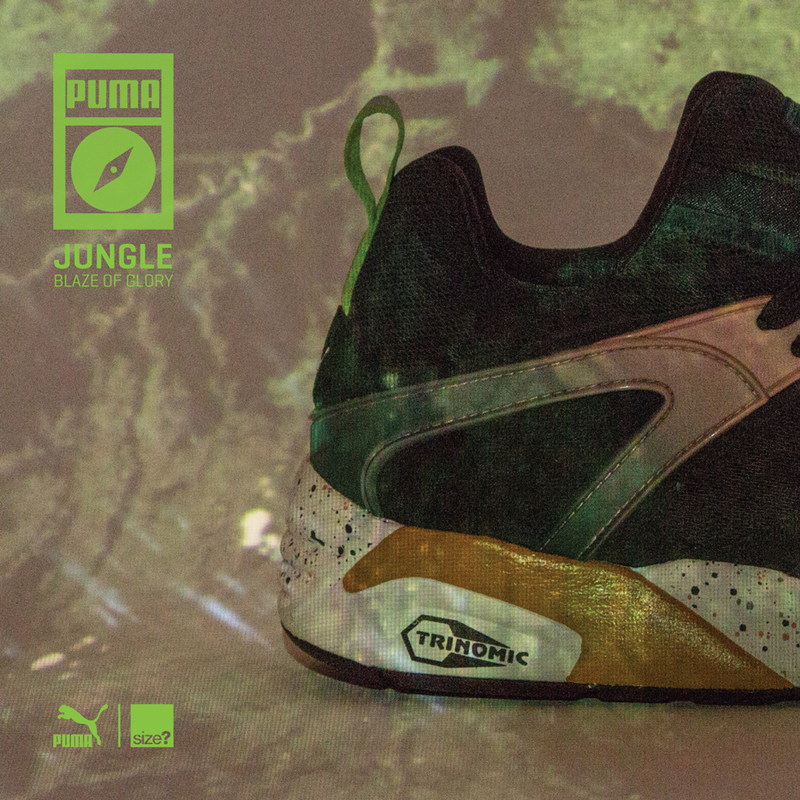 The Blaze Of Glory is known as the 'Jungle" edition. Featuring a sandwich mesh base layer for breathability in humid conditions, a secondary suede layer to act as a carpet like moss and a tough rubberised waterproof leather provides shelter against the constant downpours. The Blaze of Glory also pays homage to the amphibious inhabitants of the Amazon in the form of bright pink heel wrap which serve as a warning to predators. 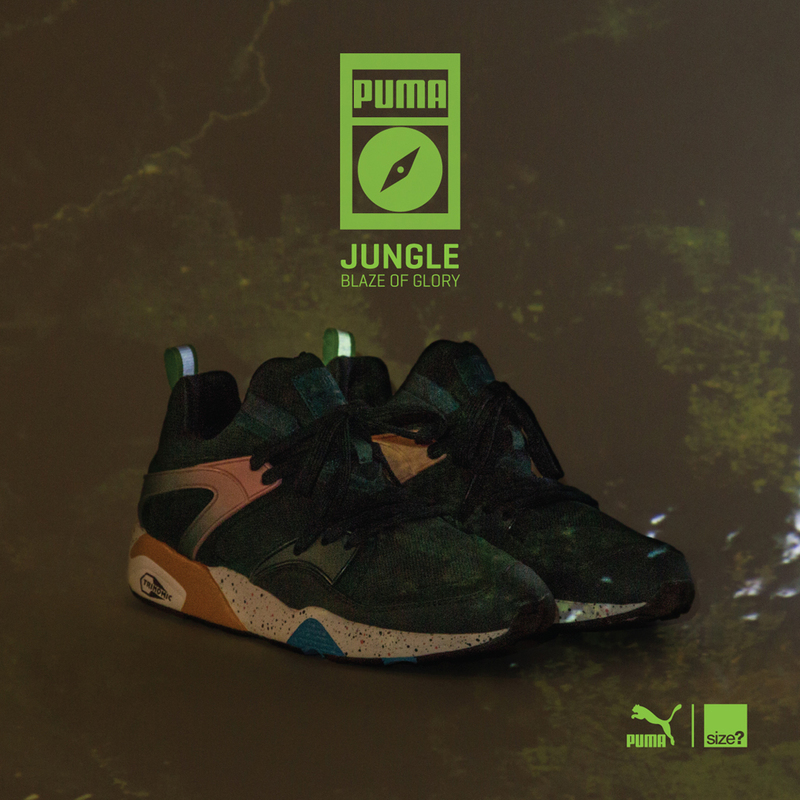 This teamed with a multi speckled mid-sole serves as a nod to the colourful plants and flowers that bloom deep within the jungle. 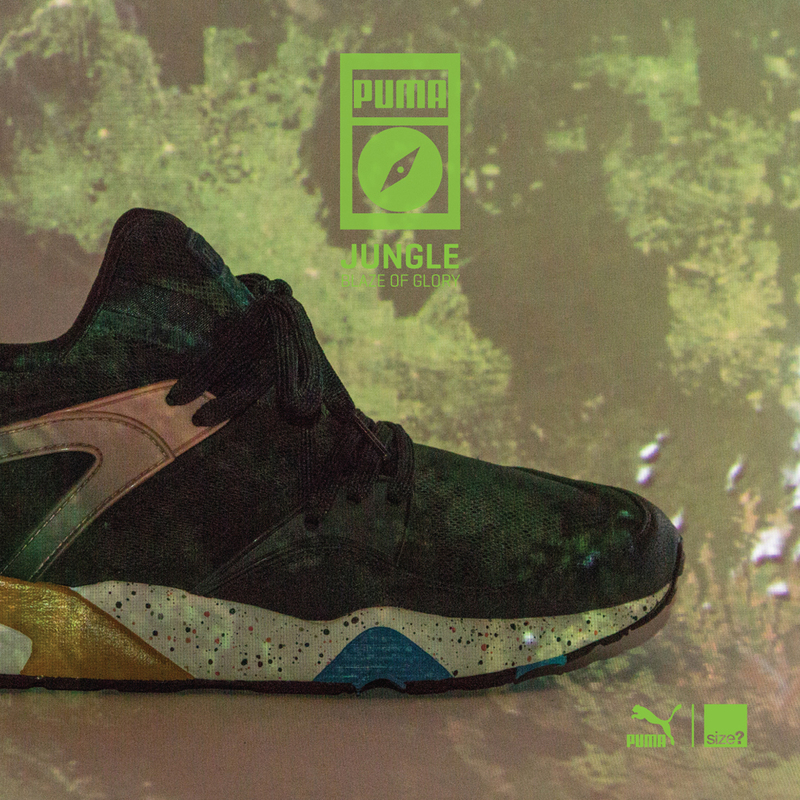 The 'Wilderness' Pack Part 2 will be available exclusively in-store at size? locations as well as online at size.co.uk on Saturday, August 2 with a wider release set for September 6.